Hi there! I'm a PhD candidate in Neuroscience at UC Berkeley researching the relationship between nicotine and the brain's dopamine system. By doing experiments that allow me to tease apart circuits in the brain by targeting different cell types and their connections, I hope to contribute to our understanding of how addiction manifests in the brain. In my spare time I make art to communicate science as co-founder of the art collective Two Photon Art. I co-founded the Two Photon Art collective with Tera Johnson, an environmental scientist, a few years after we met doing summer research programs at University of Oregon and Stanford University. Together we make zines, or self-published booklets, that capture the wonder in scientific topics. We delve into the oddity that is Face Blindness while providing an introduction to neuroscience and raising awareness for prosopagnosia. With Neuro Retreat, we package current neuroscience research summaries in an accessible format that is also fun to read. To round out our science communication efforts through art, we also make pins and patches that allow all to express their love for science. Frustrated by pay-to-play mentorship organizations, I created a free and inclusive community through social media to foster casual relationships between women and girls in STEM. With hundreds of members, the STEM Squad has been an effective place to share opportunities and hold a myriad of discussions. 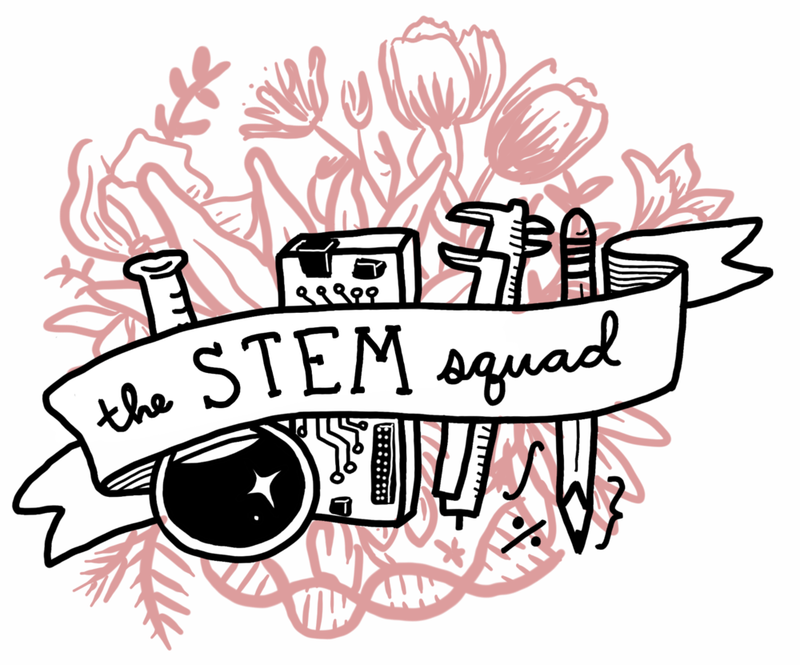 The STEM Squad community shares the platform and members can take over the social media accounts to share a glimpse into their work and lives. My mission is to empower others whether it's supporting the marginalized in STEM, communicating science that speaks to non-scientists, or encouraging scientists to share research through art.